Who doesn’t love a yummy, straight-out-of-the-oven casserole on a brisk fall day? I know I do! Casseroles are one of those food types that are always SO tasty and comforting. 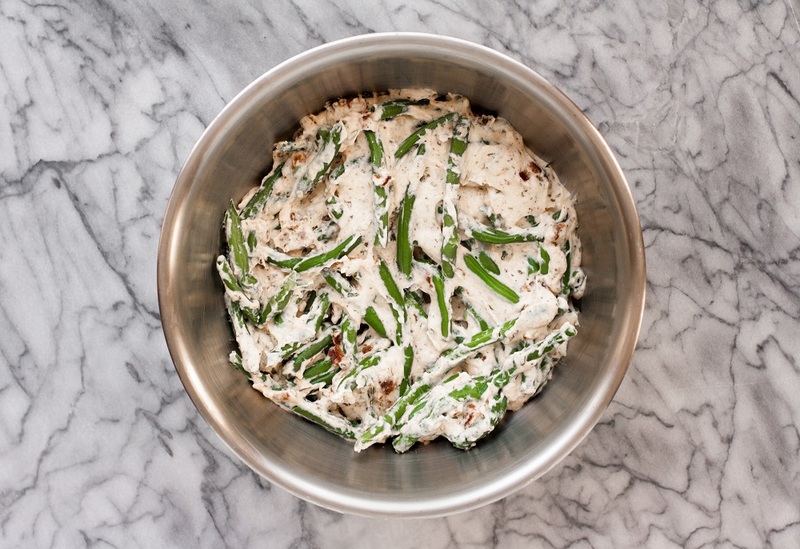 This green bean casserole is just that. It is SO delicious and will definitely not disappoint! If you’re like me and love ANYTHING related to Thanksgiving meals (best. holiday. EVER! 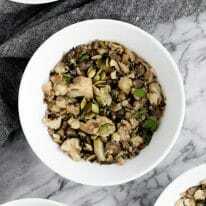 ), but also want to stick to a low-carb diet style, this recipe is perfect for you! 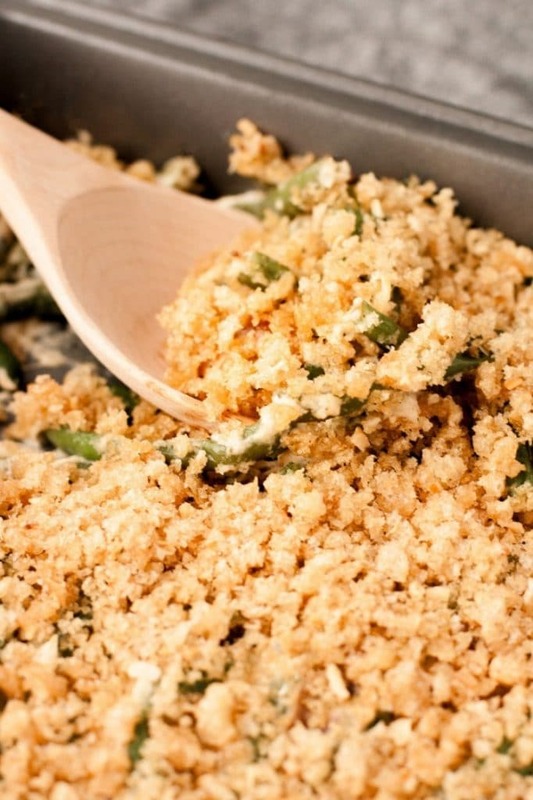 Low on carbs, this keto green bean casserole recipe is both yummy AND diet-compliant! Not only is this dish super tasty, it is also so easy to throw together. 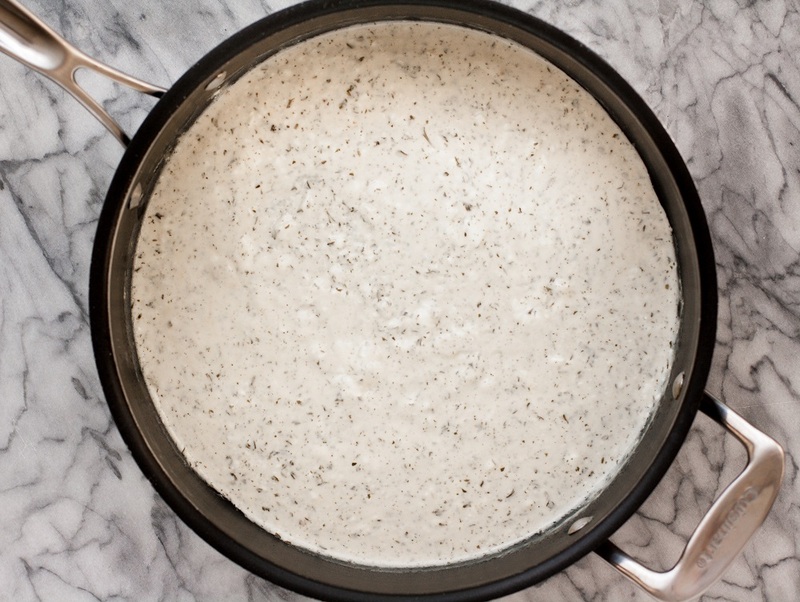 It isn’t a huge time commitment as total prep and bake time takes only 40 minutes! ? This recipe has all of the qualities of the green bean casserole you grew up eating… plus BACON. Soooo, YEAH, you know it’s gonna be EXTRA good. To get right down to it, this low carb dish is just absolutely mouth watering! It is made with super yummy and budget-friendly ingredients and is perfect as a nice side dish; it is so yummy, though, that I won’t be surprised if you end up choosing it as your main course! ? Did you know that green beans have great nutritional benefits? 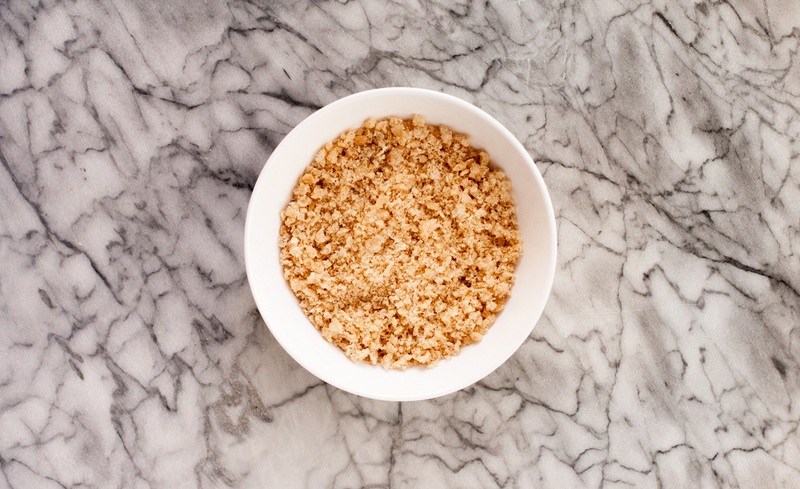 Often overlooked, these guys actually pack a nutritional punch! They have great anti-inflammatory properties, and they can help prevent blood clots, which means they help to reduce the risk of things such as heart attacks and strokes. Containing calcium, vitamins K and A, and silicon, green beans are also great for helping to maintain bone health, as these vitamins, especially silicon, are great for bone regeneration. Green beans can also help with controling diabetes! Who knew green beans had so many awesome benefits?! Many people think that when sticking to a low-carb diet plan, casseroles are completely out of the question. That does not have to be the case at all! 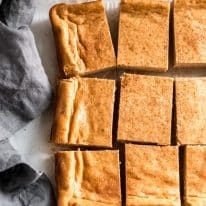 In fact, this low-carb recipe fits right into keto diet plans perfectly. A warm, low-carb dish AND a serving of vegetables? I will take it! Having doubts that this dish is actually low carb? Let me give you some specifics. A serving of this casserole contains less than 5 grams of net carbs! This helps to make it SO easy to fit into a keto-compliant meal plan. Trust me, it’s DEFINITELY worth it. 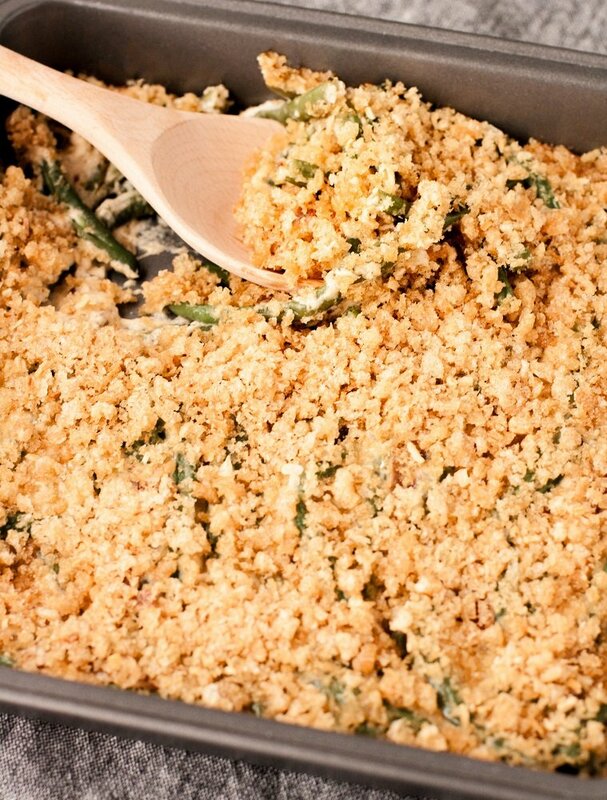 This keto green bean casserole recipe is so easy to make! 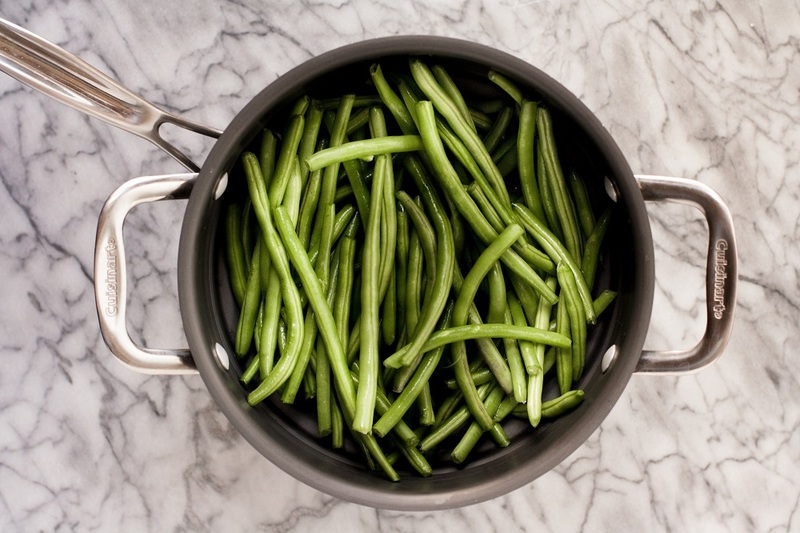 Steam green beans over high heat in a steamer basket for 3-4 minutes. 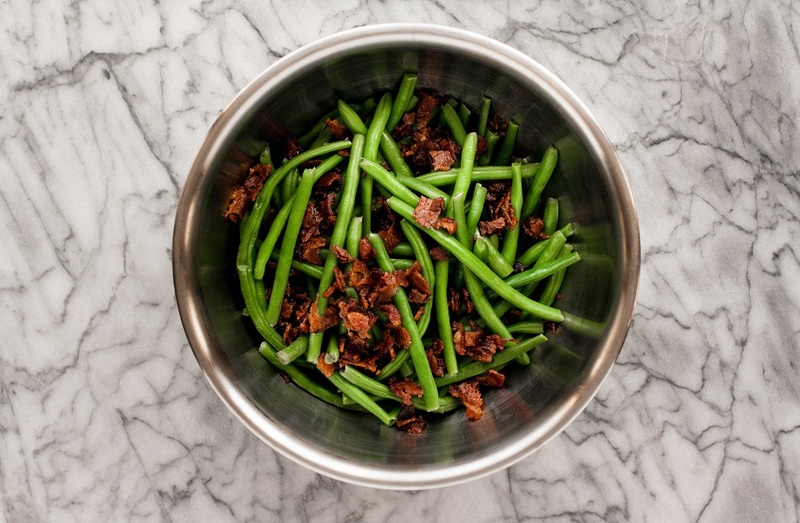 Transfer steamed green beans to large bowl, add crumbled bacon, and mix until well-combined. To a large pot over medium heat, add sauvignon blanc, reserved bacon fat, and dried parsley, and cook until smell of wine has dissipated, about 2-3 minutes. Add chicken broth and stir. 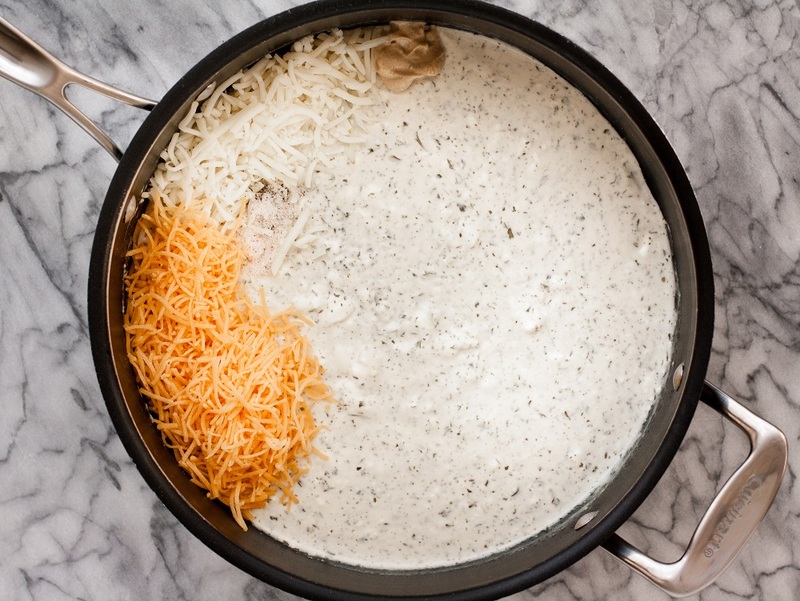 Mix in shredded cheddar, shredded mozzarella, mustard, ½ tsp salt, and pepper. Continue to cook, stirring frequently, until all ingredients are melted together and well-incorporated. 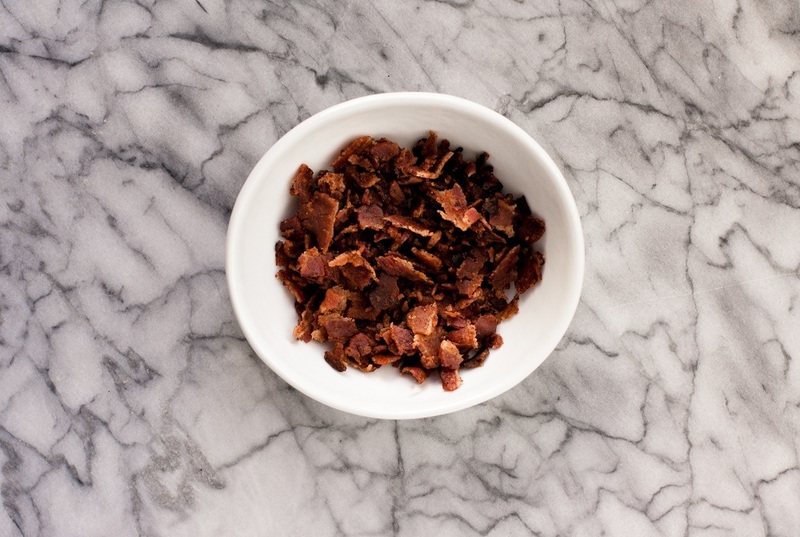 To bowl of green beans and crumbled bacon, pour in cheese mixture and mix until combined. Transfer to prepared baking pan and top with crushed pork rind mixture. 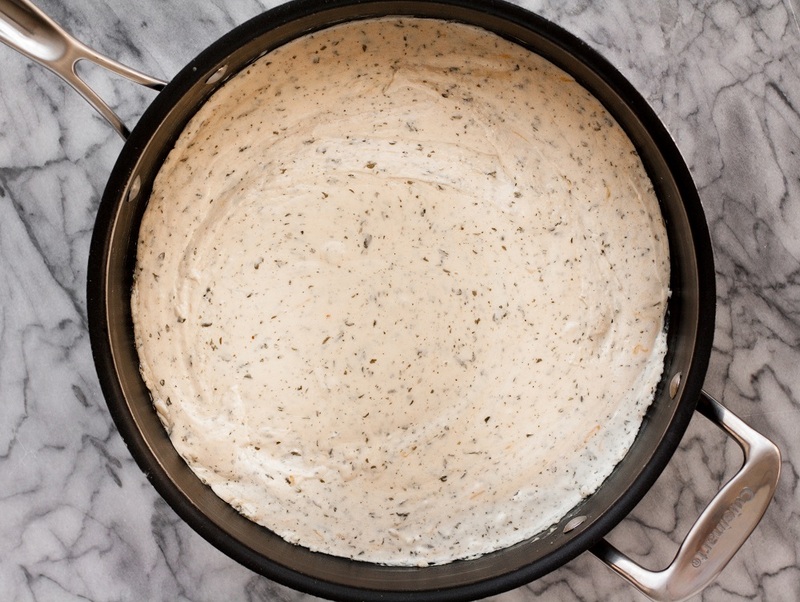 Bake until edges are golden brown and bubbling. Serve hot and enjoy! This easy keto green bean casserole is compliant with so many diets! Low Carb and Keto: One serving contains only 4.9 grams of net carbs! 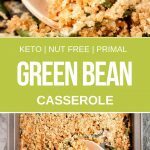 Nut Free: This keto green bean casserole is nut-free and safe to consume for those with nut allergies or nut intolerances. 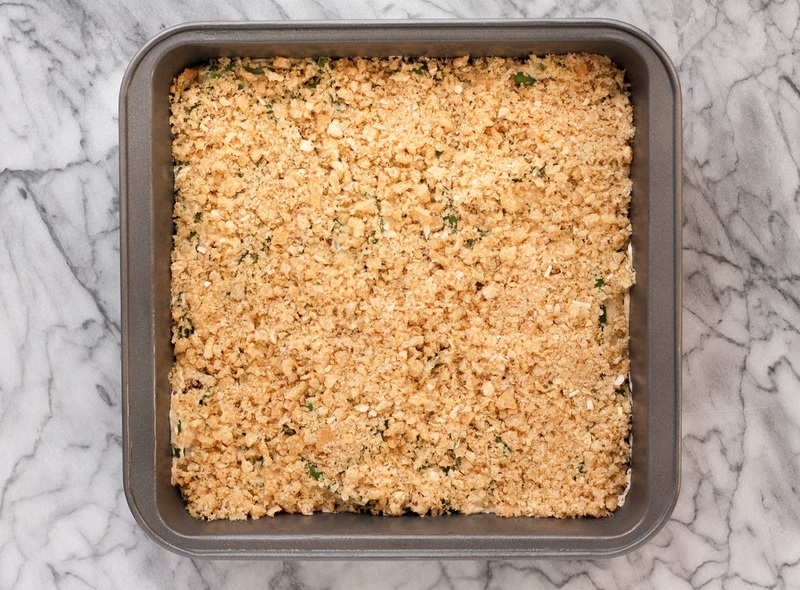 Egg Free: This Thanksgiving casserole does not include any eggs. 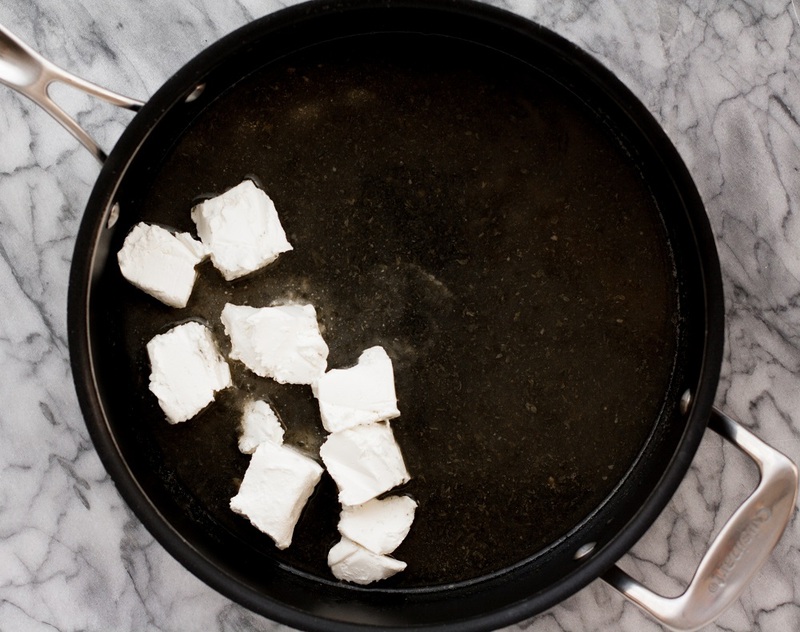 Coconut Free: There are no coconut products in this keto casserole recipe. Gluten Free and Grain Free: This is a gluten-free dish, as well as being free from grains, and is safe to consume for those with Celiac disease. 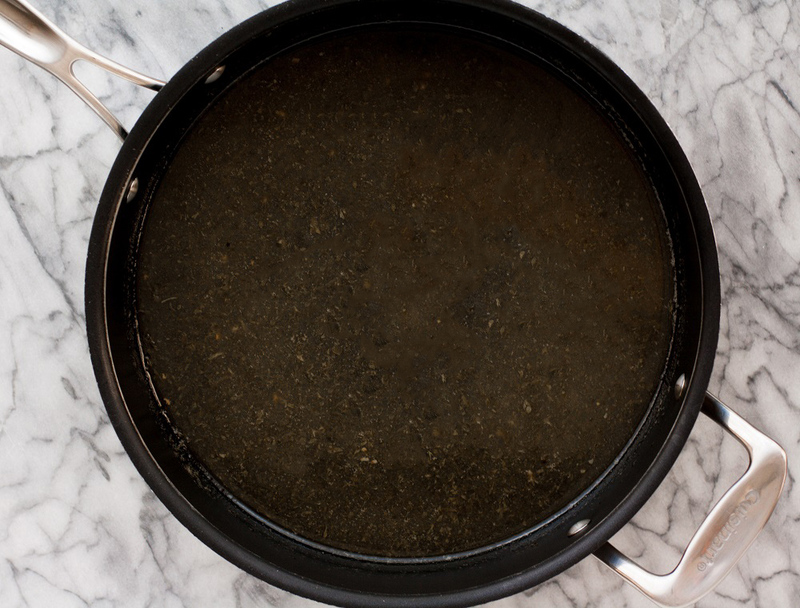 Sugar Free: This keto casserole recipe is made without any added sugar or sweeteners. This low carb, keto green bean casserole is nut free, egg free, coconut free, gluten free, grain-free, and sugar-free. We’ve got you covered! 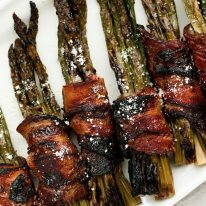 In fact, we just compiled a list of 50 of our favorite low-carb and keto dinner recipes so that you can have them all in one place! You can also find all Real Balanced low carb recipes here!